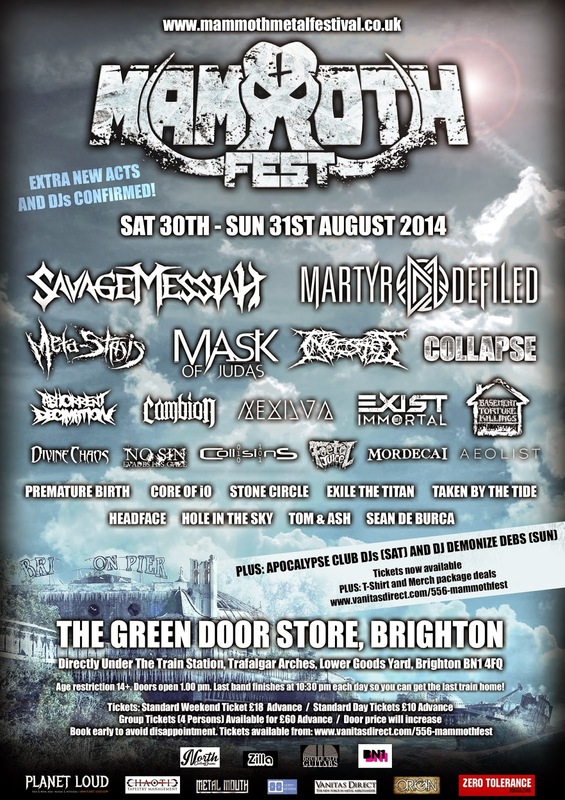 MammothFest 2014 Surprise Announcements - 2 extra acts added! Brighton's heavyweight intense festival, MammothFest has today released some new announcements, including a shock surprise of two extra acts, to what was meant to be a full bill! (see full line up above). The two extra acts are Acoustic duo Tom & Ash and Acoustic virtuoso Sean De Burca who will perform as part of the weekend. If that wasn't already exciting enough MammothFest have also announced a Apolcalypse Club Night DJs playing on the Saturday between bands and DJ Demonize Debs on the Sunday. So even more reason to get down to this mighty event! See below video from new act just added of guitar virtuoso Sean De Burca! Impressive!